My name is Jason Liechtenstein. I'm a partner at Edgar Snyder & Associates. I've been a lawyer since 1994, when I became licensed in Pennsylvania. I'm also licensed in the state of Maryland. My profession includes all different types of representation of injured people, whether it be in car accidents, truck accidents, roadway defect cases, product liability cases, dangerous property cases, dangerous animal cases. At a very early stage after receiving my law degree I decided I wanted to do personal injury because I think there's a special bond that is created between representing individuals who have personal injuries, and who rely upon us to try to assist them with their different types of issues. For a few years earlier in my career I had the opportunity to do defense work and to represent the insurance companies, and I can say with certainty that that has helped me represent injured individuals. I understand the way that the insurance companies evaluate a case, and I try to use it to my advantage when I'm presenting my own client’s case to the insurance company or its attorney. Attorney Jason Lichtenstein has an AV® Preeminent™ rating from Martindale-Hubbell, the highest possible rating based on legal ability and general ethical standards. 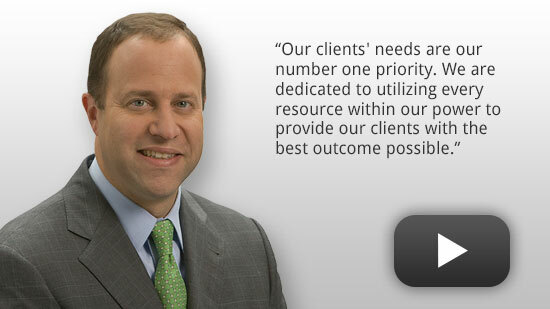 He was selected as one of their "2013 Top Rated Lawyers in Personal Injury Law." He also made the list of Pennsylvania Super Lawyers, an honor awarded to the top five percent of state-wide lawyers. Based on results of the Super Lawyers selection process, Attorney Lichtenstein was listed as one of the Top 100 Attorneys in Pennsylvania and one of the Top 50 Attorneys in Pittsburgh. He is also a member of the Million Dollar Advocates Forum. Attorney Lichtenstein was voted for inclusion in the 2013 - 2019 editions of The Best Lawyers in America®, an honor based on rigorous peer review. Corporate Counsel magazine has called Best Lawyers "the most respected referral list of attorneys in practice." Attorney Lichtenstein is a past Governor of the Allegheny County Bar Association's Civil Litigation Committee and speaks regularly at personal injury seminars and at the University of Pittsburgh. Prior to joining Edgar Snyder & Associates, he worked as a defense attorney representing insurance companies -- experience that helps clients at Edgar Snyder & Associates. Attorney Lichtenstein has tried numerous cases to verdict before juries across western Pennsylvania. He has also successfully handled hundreds of cases that have resulted in significant recoveries for his clients through settlement and mediation. 2013 Martindale-Hubbell "2013 Top Rated Lawyers in Personal Injury Law"
Attorney Lichtenstein graduated from Lafayette College and received his Juris Doctor from Duquesne University Law School. He is licensed to practice law in all Pennsylvania State and Federal Courts, as well as in Maryland State Courts. Pennsylvania Bar Institute (Panelist & Presenter) - "Rules of the Road: Fundamentals of Auto Litigation"
Continuing Legal Education Seminar – "Advising Your Clients About Liability Insurance"
Continuing Legal Education Seminar, Pennsylvania Association for Justice – "Auto Law – Subrogation and Liens"
Continuing Legal Education Seminar, Pennsylvania Bar Institute – "Plaintiff's Perspective on UM/UIM Claims in PA"
Panelist, Continuing Legal Education Seminar – "Finding and Working with the Right Expert for Your Legal Needs"
Moderator and Presenter, Pennsylvania Bar Institute – "Handling the Slip, Trip and Fall Case"
Panelist and Presenter, Pennsylvania Bar Institute – "Presenting and Defending Catastrophe Injury Cases"
Moderator and Presenter, Pennsylvania Bar Institute – "Slip, Trip and Fall: Winning Tactics for Settlement and Trial"
Presenter, Pennsylvania Bar Institute – "Uninsured/Underinsured Motorist Coverage: Plaintiff's Perspective"
Presenter, Pennsylvania Bar Institute – "Handling Dog Bite Cases"
Attorney Lichtenstein is heavily involved with the Western Pennsylvania Chapter of the Juvenile Diabetes Research Foundation and is active on their committee. He is also on the Board of Trustees at Community Day School, an independent K-8 day school in Pittsburgh.